I am excited to announce that my first self-published book is complete and ready for distribution in both paperback and Kindle formats! My passion is imparting courage, strength, and hope through my stories and photographs; mere reflections of revelation in those fleeting moments of time that tell of the bigness and beauty of life, and all it has to offer. This eclectic collection of stories and inspiration will warm your heart and encourage you to follow your dreams. That's a very good question, and one I get frequently. 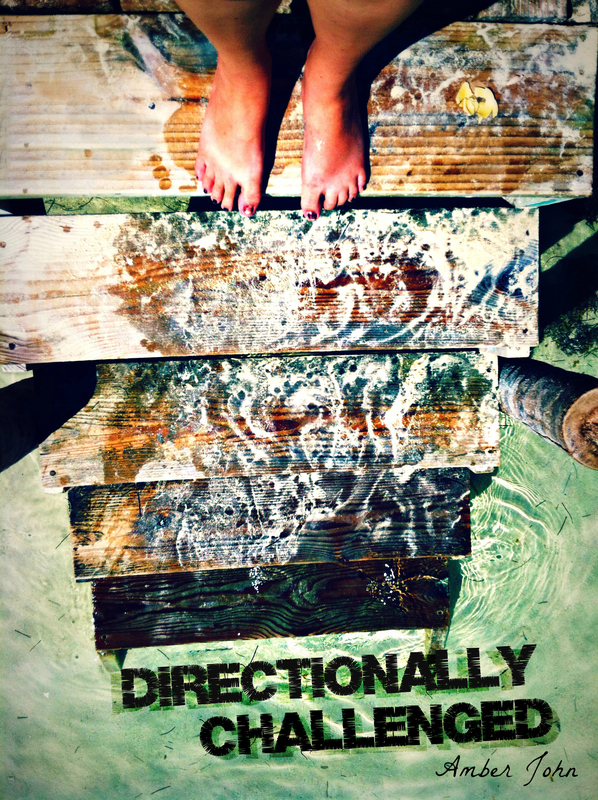 This book is titled, Directionally Challenged, and is a collection of life lessons, encouragements, and stories from a season of my life where I was in great transition and needed much direction and guidance. I tell people it's like the Chicken Soup for the Soul books, where you can read one section, one story, and walk away. It is not a narrative, nor is it an autobiography, per definition. It is a collection of stories, inspirational quotations, and of course, photos. I want it to inspire you, encourage you, and embolden you to live a life full of passion. Dream big, and live bigger! And then, suddenly, it hit me. I was totally and completely running from anything I deemed unsafe out of fear of the unknown. If I couldn't plan it out, evaluate it, process it beforehand, file it, collate it, administrate it, I wouldn't do it. Because to me, the unknown was messy, dangerous, and too out of control. I decided there and then I was tired of living my life in fear. Because ultimately, I can't control everything all around me all the time. Truth be told, it was exhausting. Trying to keep myself safe was completely draining. I could never really let my guard down and just have fun. I could never let myself just be me. What if I was rejected? What if I got hurt? What if I was embarrassed or humiliated? But, on the other hand, what if I had a great time? What if everything worked out? What if I loved living an adventurous life? An entirely new set of "what-ifs" starting whirling my "Little Engine That Could", and I began to see life from a new vantage point. So much so, that I spent three months living in a third world country, changing lives and having my life changed forever. And yes, that's me in the photograph. Where am I? Oh, I called that my "other office" ... I was just cave tubing down a river in Belize on a beautiful April day. Because if you are going to do different and fight for the best in your life, you might as well do it big, right?